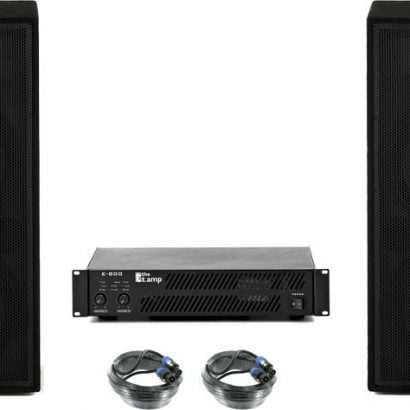 the box PA 252 ECO MKII Passive Full Range Speakers with t. Amp E800 Power Amplificator. Ideal for for small events that have an audience size smaller than 50 people (Indoor). This is great for events that need a little bit of low end presence, but don’t have a large audience. 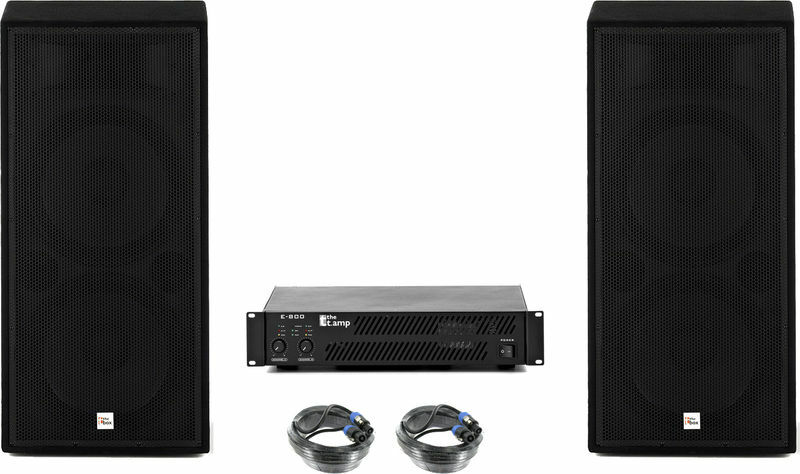 This is great for small band events and home parties. The Package includes Instrument and Speaker Cables. This Package requires a Mixer and any Input sources you may require (Microphones, DI Box, etc).